Anyone who knows me could tell you that I love the mountains. Whether I am camping under the stars or simply spending an afternoon in the glorious scenery, the mountains just have a way of revitalizing my soul. No matter the season, nothing excites me more than visiting a town dedicated to exploring and adventuring the mountains it resides in. But, I’ll let you in on a bit of a secret. 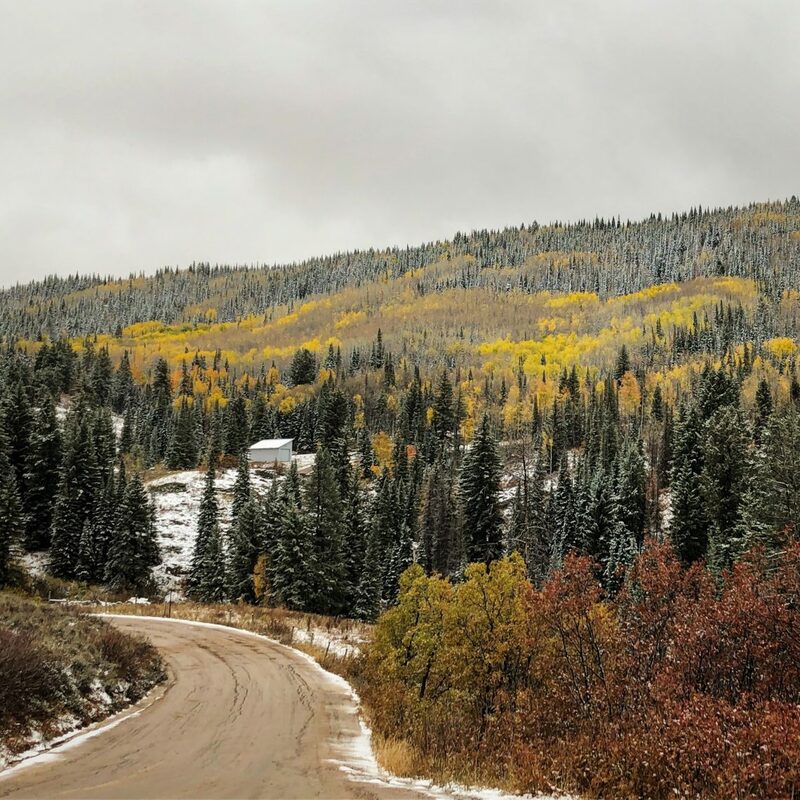 You need to visit a ski town in fall. My husband Robb grew up skiing and I well, am getting a lot better. Skiing is just so much fun. We even got married at a ski resort. With this in mind, I think it’s safe to say that I love ski towns. However, I feel like most people only spend time visiting in winter or summer. 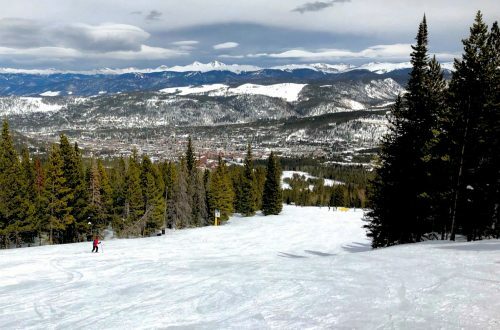 I get that I am lucky given that I live in Colorado and within a few hours, I have several different awesome ski resorts to make a quick getaway. Honestly, this is how I discovered the glory of visiting ski towns in fall. 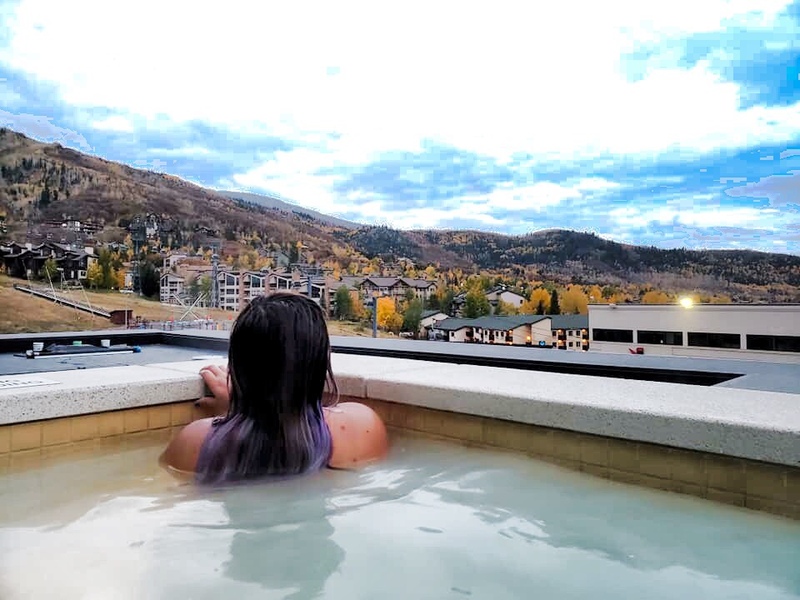 Just this past week, my husband and I made our way to the gorgeous Steamboat Springs and let me tell you, I am still in awe over this trip. It was the perfect little romantic mini vacation, even if we were only there for one night. Nothing can sooth the soul quite like this quiet escape. 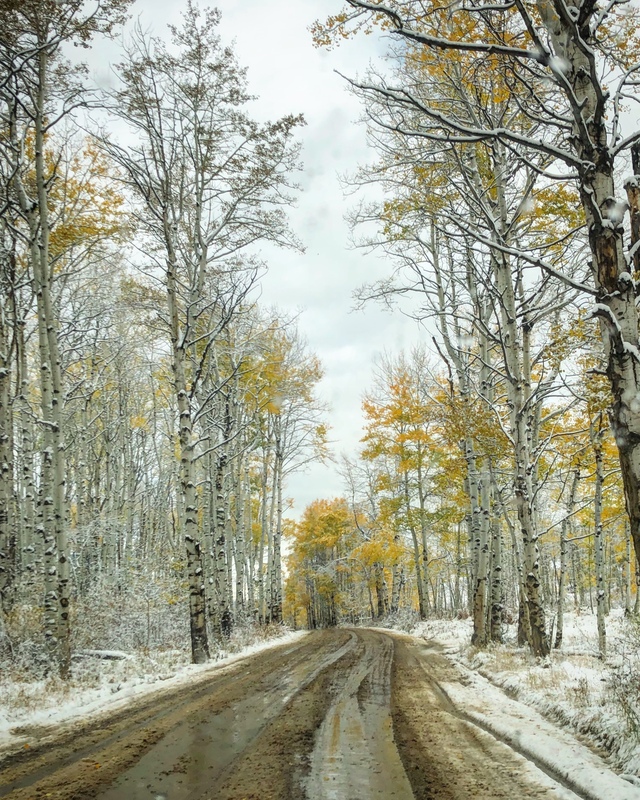 So what makes visiting a ski town in fall so special? Well, I’ll warn you. Once you’re done reading this, you’ll probably need to book your trip now before you are too late. Any penny pincher traveler will tell you about visiting a location in the off season and ski towns are no different. You can get some serious deals on hotels in these towns, especially at the ski resorts themselves. When I say savings, I mean saving hundreds of dollars too. What’s not to love about that? And that doesn’t mean the places are skimping on the luxury either. I’m talking about massive ski condos or high level hotels with impeccable customer service. Just because you are staying in the off season doesn’t mean that the resorts are any less luxurious. Hell, you can argue that it is even better than during the busy season because you basically have the whole place to yourself and staff can give you 100% of their attention. Just this past trip to Steamboat, we stayed in a beautiful Sheraton for roughly 100 bucks. We had a beautiful suite, hot tubs with a view (basically to our selves), robes, you know the whole glamorous package. This has also been the case when we’ve stayed in Crested Butte and Breckenridge in fall. Basically, hotels want to have customers and with limited guests, they are willing to drop the prices for even the best rooms rather than let them go empty. You want to get in on this. What’s better than feeling like a rockstar on a budget amirite? Ski towns often have some of the best fall colors in the country because, well, they are up in the mountains. Why spend just a day viewing them when you can really put yourself in the center of it all. Living in Denver, there are often lines of cars to get tothe most popular fall foliage points throughout the season. And even after spending hours in the car, you stay for only an hour or so, get the perfect Instagram shot, and leave. Sure, maybe you have a photographer and it’s a little more worth while than just a social pic, and no, I am not judging anyone trying to get the coolest Insta post, I’m just saying that why not spend more time in the foliage if you went all the way up in the mountains to see it. This year, I have been fortunate enough to camp into late September where we found a gorgeous spot amongst a changing Aspen grove. And while I do recommend camping in the fall, there may be weekends that you have the days off but the weather is dangerous to make that happen. This past week, Robb had three consecutive days off and we wanted to go camping. Unfortunately, the temperature dropped to lows in the 20s with snow and we don’t have snow camping gear. I’m also a bit more of a three season camper anyways. However, we didn’t let that waste the time off. It was off to Steamboat for us! Let me tell you, the colors were to die for! Basically throughout Rabbit Ears Pass which leads into Steamboat, golden aspens populated the hills for miles to see. It was nothing short of magical. Plus, the bit of snow added an awesome little touch to the already beautiful scenery. Think about any of the summer activities that you might wish there were less people at. I’m talking about hikes, or lakes, or even hot springs. What is more annoying than trying to catch that perfect shot, or trying to be one with nature than running into huge crowds? As a Colorado resident, one of my favorite hikes in Glenwood Springs now requires a permit to protect the gorgeous waterfalls at the top from the crowds. Since it is off season, there are simply less tourists and you get to experience nature as it was intended, without people. 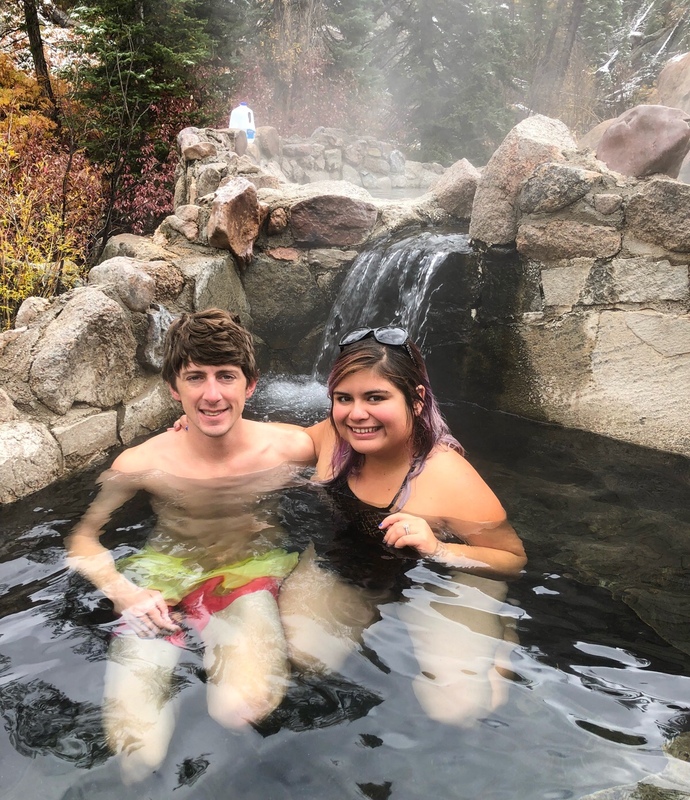 I’m specifically thinking about the Strawberry Park Hot Springs in Steamboat because they are mesmerizing. A short drive out of the main city leads you down a windy mountain road that ends at this beautiful establishment. Basically, it is a hot spring built into the side of a gorgeous canyon. While I love it any time of the year, somewhere like this hot spring is way cooler when almost no one is there. I think we had maybe ten people in the whole park at one point. It sure made it easy to take some cool pictures and relax in the warm waters without interruption. I guess the biggest reason to visit a ski town in the fallis that they are just so romantic. For me, this summer has been a little wild, especially with all the wedding stuff. Living in the heart of Denver, it is difficult to really escape the business that is life. We live near a hospital which is great for my husband who is a nurse and can walk to work but not so great for quietness because of the ambulances. A Ski town in fall is a lot slower paced and with many things closed, you can really take the time to focus on your loved ones. It’s nice to get out and hear nature. It’s nice to not see another person besides your partner. And it’s nice to be able to do that with the person you love. While you can obviously get this while camping, it can be a lot of work. I am a huge advocate of car camping but it is nice to be pampered sometimes. Between that and the general solitude in the resorts, you can really feel miles away from the hustle and bustle of everyday life. Honestly, it feels like the ski town is privately rented out by you and your partner. With that all said, be prepared for things to be closed at a ski town in fall. 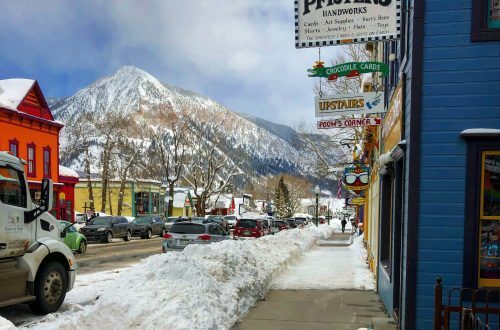 Depending on the size of the ski town and the population of locals, you may find many of the restaurants and bars closed during the off season. Don’t let that stop you from visiting though. There are still plenty of options in most towns and think of it this way, no waiting at your favorite restaurants. I’ve never had a problem finding things to do when visiting these towns this season. 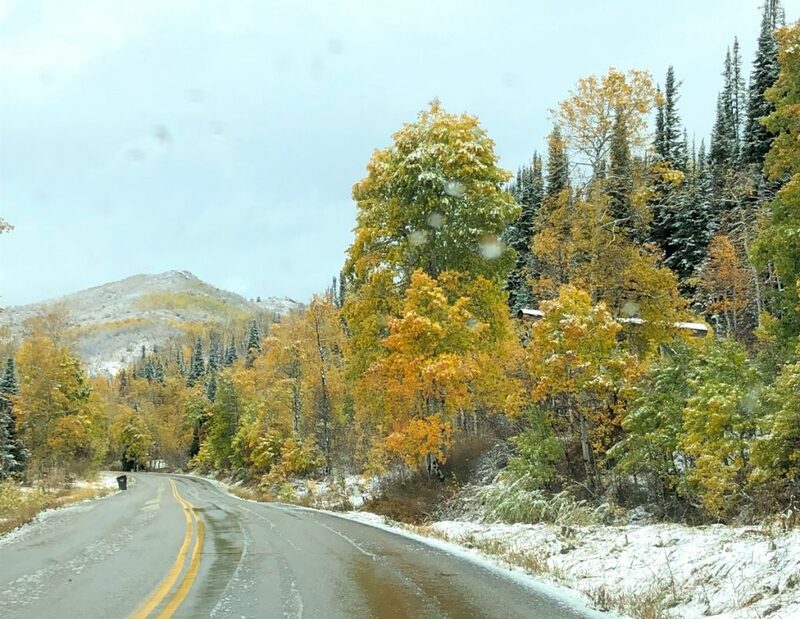 Sometimes, there could even be a special event or festivals that only happen at the ski town in fall. We once stayed up in Breckenridge during the Breckenridge Spirit Festival (which we would have gone to but it sold out). This didn’t make the room any pricier but do know that with more demand, prices may go up. This also gives you the opportunity to check out more local hubs rather than tourist traps. 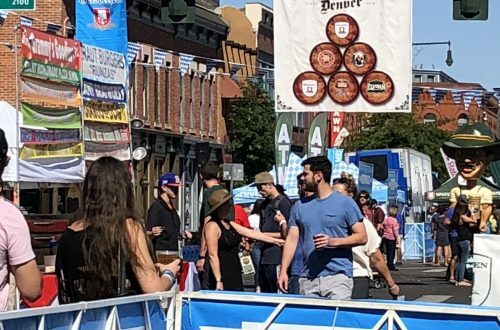 You may even meet some friends since you’ll be able to hear people in the bars and local people probably know more about cool things going on than the internet. Not going to lie though, it’s usually pretty easy to meet people at these kinds of towns any time of the year since people are friendly in the mountains. If all else fails, it’s an excuse to stay in your nice hotel or condo and really up the romance. Spend the whole evening in only a robe. Take a bath, maybe for two. Get to the grocery store and cook a meal together. Can you picture the romance? There you have it. 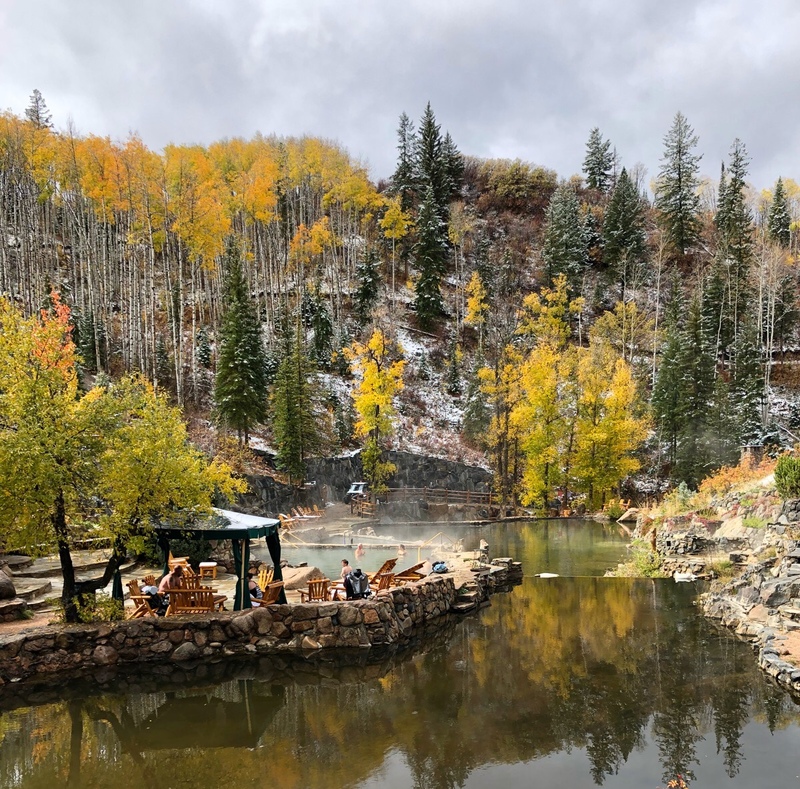 Are you ready to go check out why I love visiting a ski town in fall yet? I’d love to hear about your mountain adventures in the comments below. Did you like this story? Please subscribe to my blog to get more adventures and tips like this one.